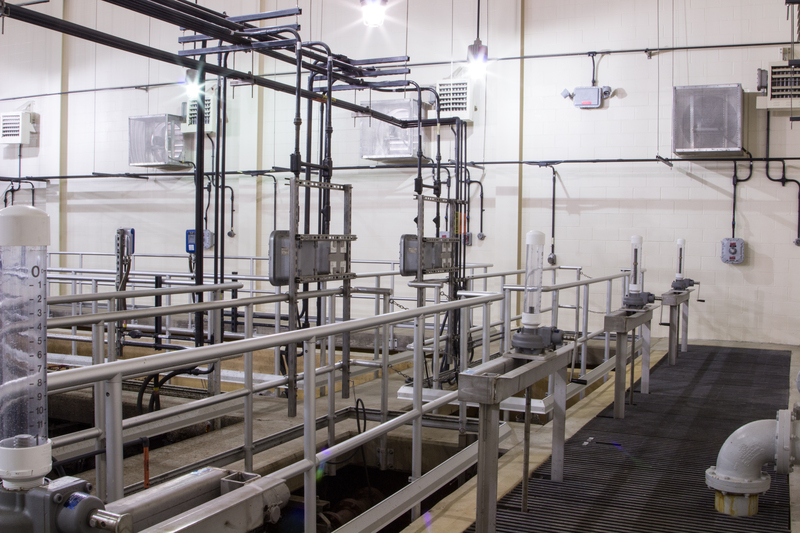 JMT developed process modifications to a wastewater treatment plant to increase its capacity and improve reliability. 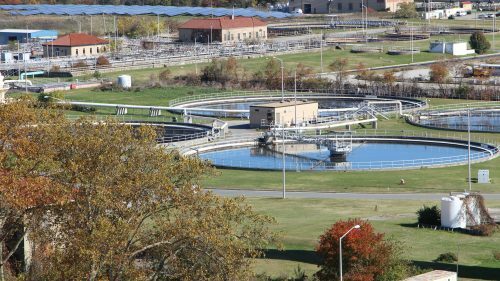 JMT conducted an evaluation of the Mystic Harbour wastewater treatment plant (WWTP), its constructed wetlands and shallow well injection system. 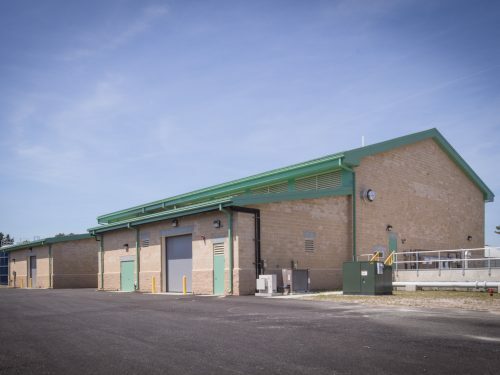 Although the existing Bardenpho/Constructed Wetlands plant was permitted to treat 250,000 gallons per day (gpd), the plant’s actual performance was limited to less than half of that. The client’s primary goals were to increase the treatment capacity and reliability to meet enhanced nutrient reduction (ENR) treatment levels and to be a better neighbor to the surrounding residential community by providing an aesthetically pleasing facility. 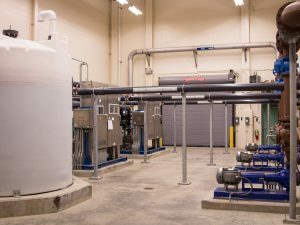 JMT evaluated possible alternatives to achieve the client’s goals such as upgrades of the existing systems, construction of a new activated sludge WWTP, addition of denitrification filters, sequence batch reactors (SBRs) and membrane bioreactors (MBRs). 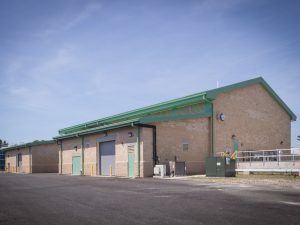 The evaluation included projections of future flows and treatment requirements, utilization of the existing site, maintenance of the existing plant during construction, and options for effluent disposal. JMT conducted interactive workshops with the client’s engineering and operations staffs to develop weighted criteria for evaluating options. The workshops helped illuminate the relative importance of the ease of maintenance and operations as well as a willingness to invest additional capital in order to lower long-term operating expenses. At the conclusion of the monetary and non-monetary evaluation, the County and JMT selected an advanced MBR and Bardenpho Process to meet the effluent limits including ENR levels of nitrogen. 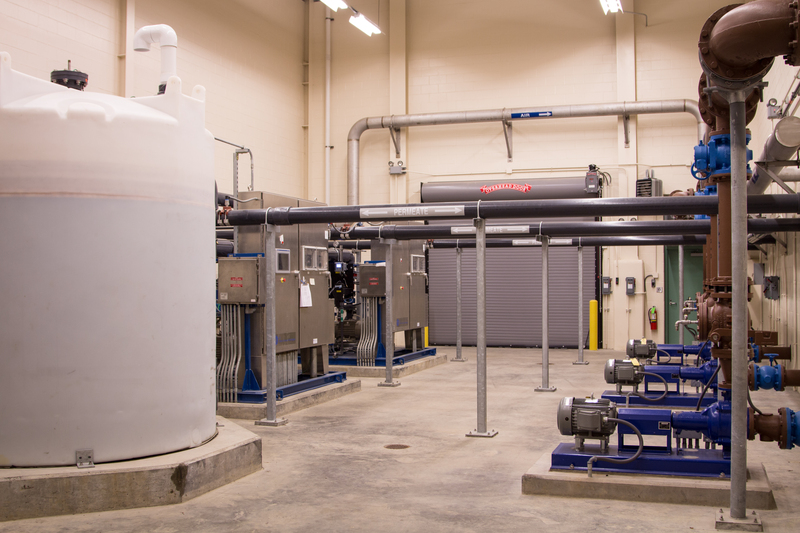 JMT’s design provided for construction of a new advanced membrane bioreactor WWTP including fine screen headworks, UV system, and ancillary chemical feed systems. The project included construction of 11,250 sq. ft. of sludge drying greenhouses, and construction of a 13,850 sq. 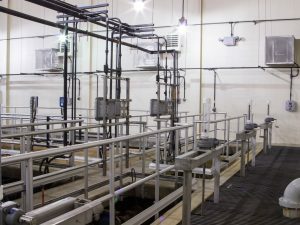 ft., process building to house the headworks, MBR process, laboratory, and electrical facilities. As part of the design process, JMT developed an MBR pre-purchase specification and selection process. This process allowed contractors to bid a set of construction documents that were well-defined, limiting the potential for change orders. In addition, this procurement method reduced the lead time for equipment delivery by allowing shop drawings and fabrication to occur prior to granting the contractor with notice to proceed. Engineering disciplines included civil/site, process, structural, electrical, instrumentation and control and heating, ventilation and air conditioning (HVAC) engineering. 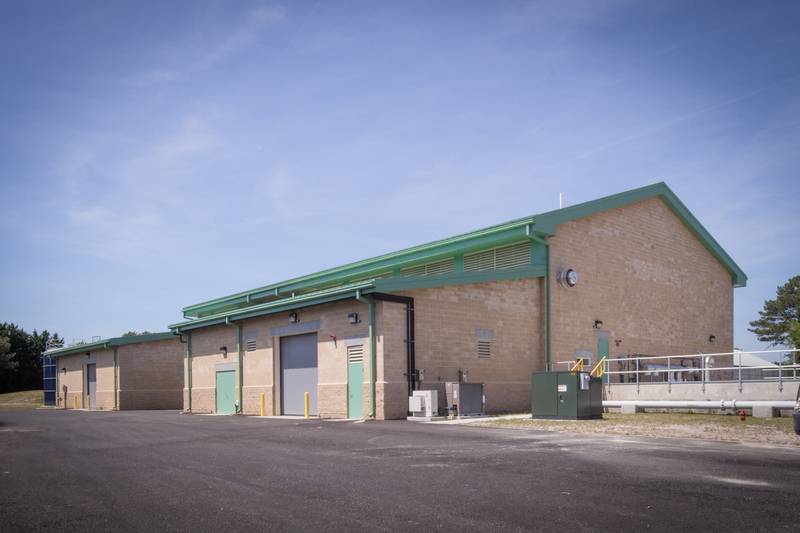 JMT’s architects assisted with the coordination of the building envelope to accommodate the necessary tanks, equipment, and services in a functionally efficient manner while developing an aesthetically-pleasing facility that would fit in with nearby residences. Architectural techniques included the addition of multiple roof planes, building projections, contrasting materials, and articulation of the building’s base with an architectural water table. The final design solution met the County’s goals of expanding capacity and improving treatment reliability through use of a Membrane Bioreactor system. 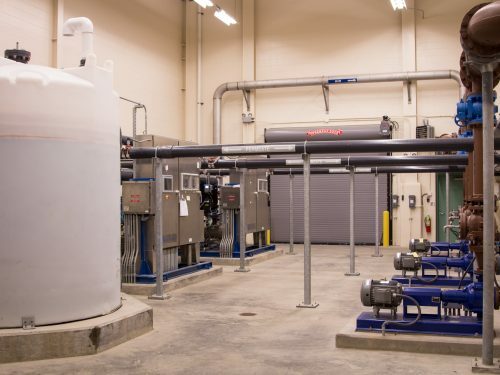 The entire facility was made more community friendly by placing all treatment processes inside a new building, and by decommissioning the existing constructed wetlands, which were a source of odor and aesthetic complaints.